Pirates League is without question my favorite “extra” that we’ve added to any of our trips. The experiences that we’ve had are nothing less than amazing. I’ve touched on this experience in a few other posts, but it most definitely deserves it’s own in-depth, stand-alone story. Why do I love The Pirates’ League so much? It’s something for boys (and girls too) to do. As a mom taking a son to a place highly covered with princesses I love this little pirate nook. It’s affordable. While the price has gone up a few dollars it doesn’t start at $100+ dollars per child. We paid $39.95 and now the prices start at $44.95 for a makeover. Some accessories and a very mini-makeover are offered for under $20. The Pirate’s League theming starts the minute you walk up to the reservation stand and are greeted with an “Argh,” “Hi there, Matey,” or similar pirate lingo. The kids then get the opportunity to pick their package. The good news is that the laminated card handed to the kids to debate their makeover choices does not include the “deluxe” packages that include costumes. Those costumes are hanging up right next to the reservation stand so hopefully you can convince the kids they’re for display only. Once called inside the fun is really out of control. Non-stop pirate talking from a personal makeover artist that works to transform the kid into a pirate, mermaid, or empress. My kids have both opted for the pirate look. Diva did the makeover last year and for a split second I thought she was going to be a mermaid but wanted to be like her brother and be a pirate too. They start out by rolling a pair of dice and matching each die to name in a book to come up with their pirate name. They are known by their pirate name for the remainder of the experience. Once they have a name the makeover begins immediately. Usually, the temporary tattoo is applied first followed by detailed makeup designs. The makeover artist kept both kids talking and engaged throughout the experience. They chatted about pirate ships, treasure, and how to avoid walking the plank. Next, the experience moves to a “secret room” they are able to get the finishing touches for their pirate look by locating treasure to wear. This fun little room between the makeover room and the exit (aka gift shop) used to be the home of a Photopass photographer. But now it’s up to us to take our own pictures either with the globe above or the giant chair in this picture. Currently the last part of the experience is receiving a pirate certificate with the pirate name in large print. Photopass is now found outside taking pictures at the sign. I do miss the parade through Adventureland with all the little pirates that had a makeover throughout the day march around signing “A Pirate’s Life” with some other friends that happen to be in the area. As you can see from the Adventureland parade picture above Pirates League is also available for adults. Deluxe packages are not available for adults. While the official experience at Pirates League may end after getting when the certificate there’s still much more fun to be had across the way at Captain Jack’s Pirate Tutorial. I do feel like he always picks at least one kid that’s had the makeover if they are present when audience participants are selected. Read about both of Peanut’s parts in the tutorial here and here. It’s also fun to get it done earlier in the day and spend more time in the parks. So many people compliment the kids and others ask where to get it done. I do love hearing people passing say “Aw, look at that pirate.” Many had a good laugh at both of the kids with their beards! I do not hesitate to recommend The Pirates League and would be willing to do it again and again. Awesome! 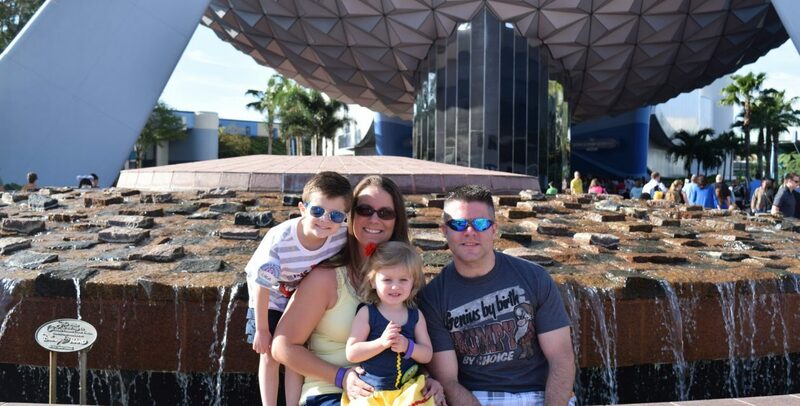 My family and I love Disney World. We just visited last June and this is good to know. We’ll add this in our IT next time we go. Such a fun and affordable experience! We did it last year before the Halloween party and the boys were Zombie pirates. Zombie pirates! Perfect for Halloween! !